In November 2017, the Social Cycles team cycled from Phnom Penh to Siem Reap. 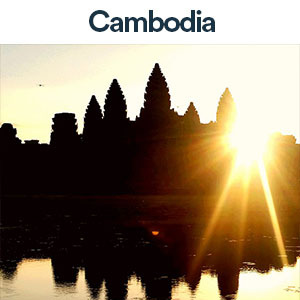 Along the way, we learnt from Sustainable Cambodia. With the US$400 donated, Sustainable Cambodia decided to further develop their WASH program, and provide 5 toilets for a local families. Phnov village, Pursat province, Cambodia. Most of Cambodian families especially those who are living in the rural communities have no latrines at their own homes. This is a challenge which is a leading cause of poor hygiene and sanitation. Additionally, access to latrines and hand washing facilities in the home and at school are very limited as well. Phnov is a village in Pursat province that is 20 kilometers from West-North of Sustainable Cambodia. There are 266 household families living in the village (925 total people). All the household families are farmer, they plant rice, vegetables, and cassava and raise animal like chicken, pig, cow, buffalo and duck. That village has 60 latrines that were implemented and supported by another local NGO in Pursat, but they are still not enough, as some household families don’t have the finances to build their own latrine. Previously, there was no latrine in their house. Villagers defecated in the open field; sometime it was buried and sometime they did not bury the excrement. It is very difficult, especially for the women during the day time. Sometime women had to endure more than 2 hours until night time to defecate. It is a difficult situation if their house does not have a latrine. Water contaminated by faeces or polluted as a result of mining and other industrial activities can lead to illness and death among children. With donations from Social Cycle, Sustainable Cambodia project staff coordinated with the Latrine Construction Company to complete the construction of 5 latrine bases which will benefit 5 families; a total of 19 people (10 women). The beneficiary families are responsible for constructing the latrine building. While the latrines are built for individual households, it is often the community that works together to build each latrine as a cooperative effort. 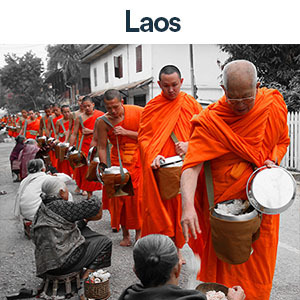 While the majority of the costs and materials for the latrines are provided by Sustainable Cambodia. Roofs, walls and doors are installed by the participating households.